Hello! Ah, fall is finally here. Besides signaling cooler weather and the falling of leaves, fall also marks one of the best times of the year to update your wardrobe. With cooler weather moving in, it's time to adjust your wardrobe to fit the season. Yes, yes and yes to midi skirts, layering pieces and autumnal prints! 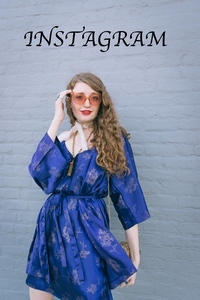 Today, I've rounded up a few of my favorite items in my Etsy shop, Radday Vintage, that would accentuate any fall wardrobe. Even better yet, all the pieces I've selected are affordable (between $6-$50.) 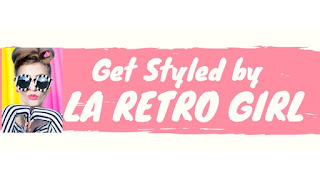 But be quick if you're shopping any of these pieces because they are unique pieces and I only have one of each in my RaddayVintage inventory! 1. Vintage Pink Patterned Midi Skirt by Chaus, $22. Okay, how could anyone not love this skirt? The pink color, charming print and stylish midi length make this skirt a fall wardrobe must-have. 2. Vintage Christian Dior Loungewear Robe, $33. Although this piece may have been designed by Christian Dior to be worn as a robe, this piece could easily be styled as a kimono/jacket and works effortlessly as a layering piece in your fall wardrobe. Great with your favorite skinny jeans and booties or mini dress. 3. Silky Vintage Scarf, $6. 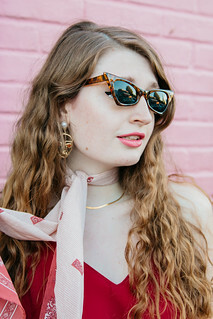 Take on the neck scarf trend with this vintage gem. 4. Neutral-colored Paisley Vintage Clutch, $14. The neutral colors and subtle print of this clutch make it absolutely perfect for fall. 5. Pretty Pink Elegant Evening Dress, $45. I can't get over the breathtaking beauty of this dress. Perfect for any formal event you have coming up this fall. 6. Vintage Plaid School Bag, $14.50. Yes, yes and yes to the plaid and style of this bag. Perfect for bringing with you to class, work or while running errands.